Maggi is hugely popular with kids, adults and everyone who loves a quick 2 minutes snack or bite. Maggi Peri Peri Noodles is a new flavour launched by them and this recipe is very simple to make and takes only 2 minutes. 2. Add the mixed vegetables and salt. 4. Add the Maggi Hot Heads Peri Peri Masala and stir well. 5. 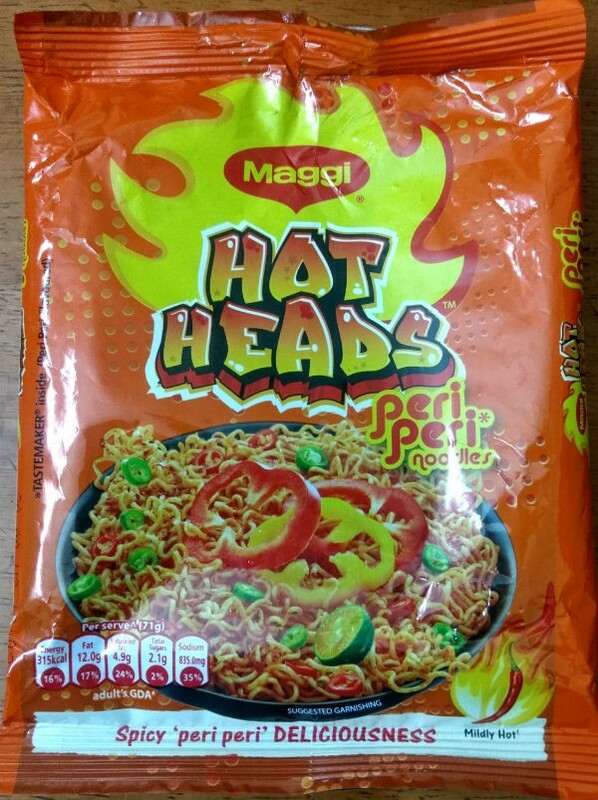 Pour 1 1/2 cups of water and add the Maggi Hot Heads noodles. 6. Mix well and cook for 5 minutes, stirring from time to time. 7. Once the maggi noodles is cooked, remove and serve at once. Feel free to comment or share your thoughts on this Maggi Peri Peri with Vegetables Recipe from Awesome Cuisine.